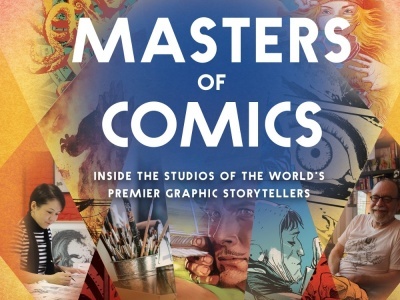 We continue the story of ReedPOP's C2E2 2014 at McCormick Place on the Chicago lakefront with an additional photo set from Friday. To start from the beginning, go to Part 1 and to begin Saturday photos, go to Part 3. World famous cosplay professional YaYa Han was on hand, to sell merch, pose for pictures and serve as a celebrity judge for the C2E2 Crown Championships of Cosplay. The Electro look from The Amazing Spider-Man 2. An excellent costume from Death Note. 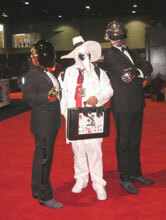 Daft Punk poses with the White Spy from Mad Magazine's Spy vs. Spy. 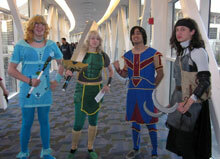 A cross-gender Zelda couple and friends. 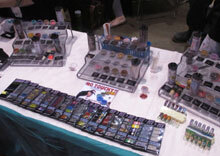 Espionage Cosmetics was one of several companies catering to cosplayers and other makeup users. 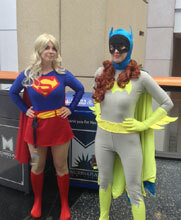 Classic Supergirl along with classic Batgirl. 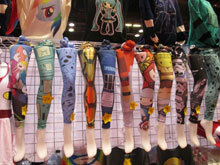 Geek is chic, and online retailer welovefine was showing off licensed leggings. It's a mini G.I. 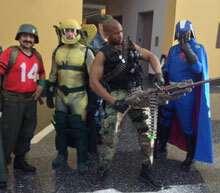 Joe reunion--Bazooka, Serpentor, Roadblock and Cobra Commander. 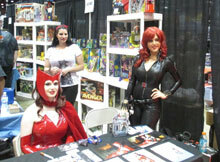 Two cosplayers dressed as Scarlet Witch and Black Widow selling their wares at the Dial up Games booth. Ink Whiskey was selling its concealable entertainment flasks, modeled on classic Super Nintendo cartridges ("Looks like then, drinks like now"). 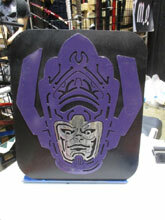 Steel Heroes makes limited edition hero designs in custom die-cut steel, like this Galactus. 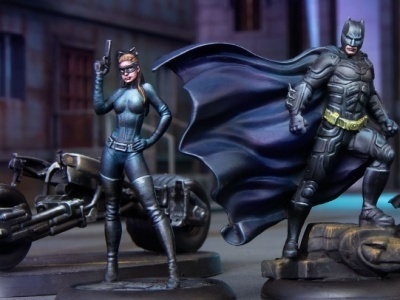 The company said it is currently negotiating a license deal with Marvel, and was showing samples with permission. 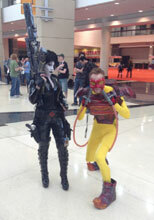 X-Force member Domino along with X-Men villain Pyro. 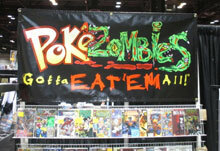 PokeZombies ("Gotta Eat 'Em All") launched at C2E2. 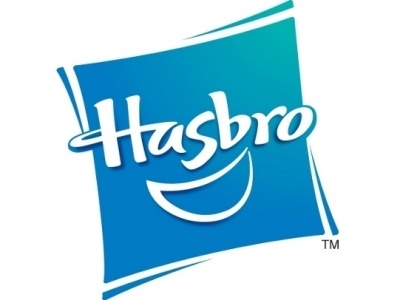 Legit parody, a lawsuit waiting to happen, or both?